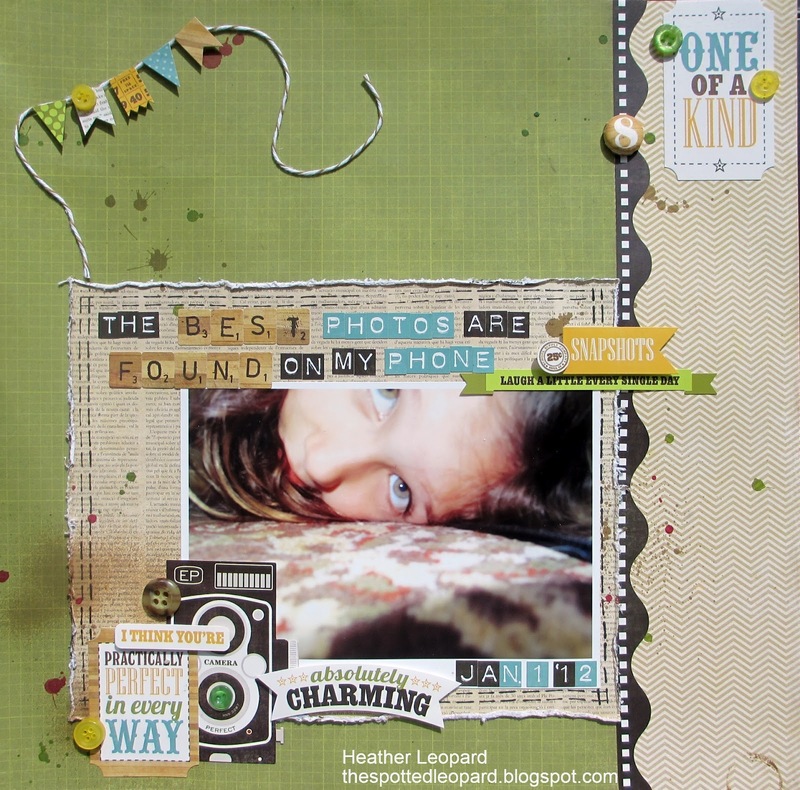 Heather Leopard: Blog Hops, Classes and CHEVRONS! Oh MY! If you're here for my BIG NEWS about Little Yellow Bicycle, welcome to my blog. Click HERE to see how excited I am about joining the design team. If you're here for the Scrappin' Savvy Blog Hop, click HERE to see some of my class projects and to enter to win a spot in my class. If you are here for the Paper Issues Blog Hop and for a chance to win a great prizes, you are in the right place! How would you like to win a little mini kit, similar to the one shown, packed full of chevron and other goodies? 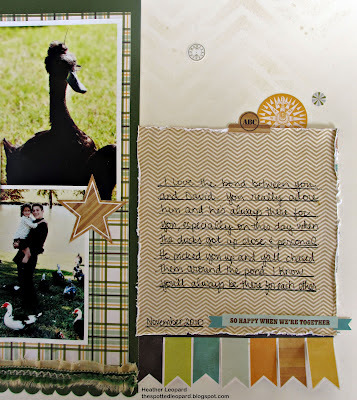 All you have to do is participate in the Paper Issues blog hop that starts today and goes for two weeks. Each creative team member will be giving away a kit on their blog as well as the Paper Issues blog so you have lots of chances to win! 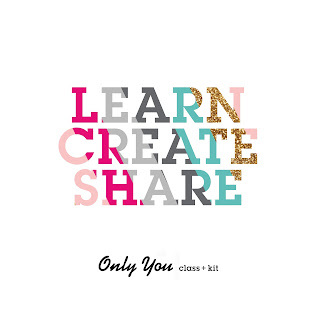 All you have to do to win this kit is leave me a comment and follow my blog if any of my projects have inspired you! 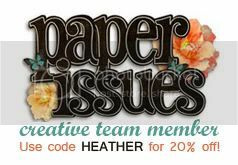 Have you been to the Paper Issues blog or etsy store? It's a really great concept because we all have paper issues, right? Well Paper Issues is an inspirational blog that has a new "issue" every two weeks. Anyone can link up your old or newly created project for the current theme for a chance to be featured or to get some extra traffic to your blog too. The theme this week is SHOW ME YOUR CHEVRON! 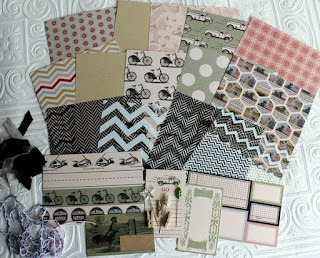 Now let me share a bit of CHEVRON projects I've been working on and a coupon code to the Paper Issues store. If you look closely at the background cardstock, you can faintly see a chevron print. I made that using a Crafter's Workshop mask and mist. Lastly, I made this card using photo corners to make the chevron pattern. I posted the DIY instructions HERE. Thanks for stopping by today and if you have a sec, check out my previous post below to read my Little Yellow Bicycle news. I really like how you lightly misted the chevron background! Great projects! I'm a follower! Such inspiration!!! Thanks for the chance to win!! The light chevron background is fantastic! I love all of your projects! The turquoise & brown card is so great! Love you lo's so many to drool over! Great layouts & card! I love the chevron patterns! Thanks for the inspiration! 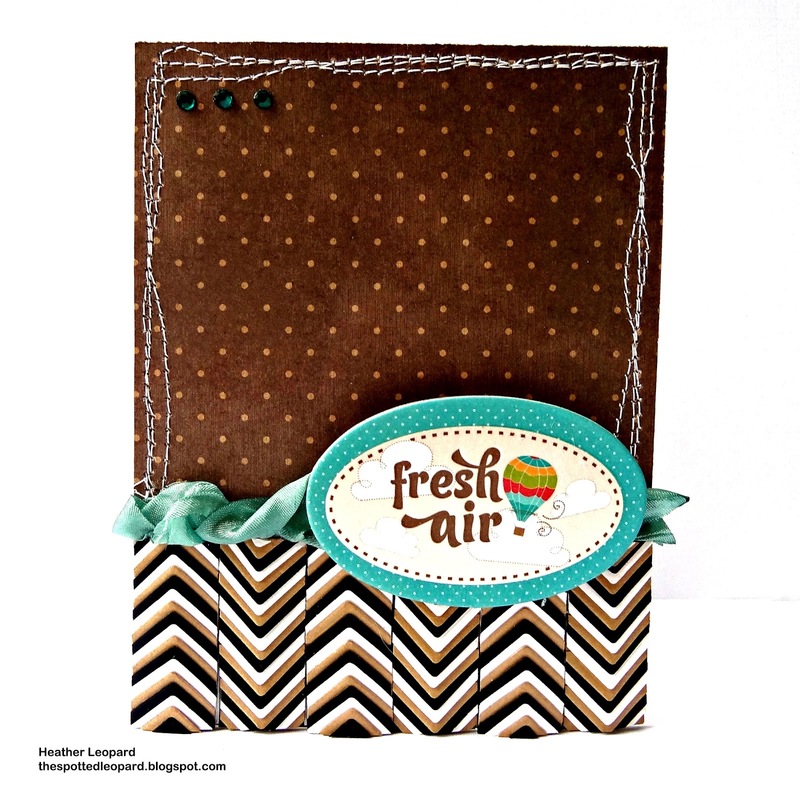 i loved that chevron card and the layouts are fabulous too. love the design and large photo. I LOVE your misted chevron!!! That is awesome! And of course the other chevron projects rocked my world, just loving chevrons right now! Thanks so much and happy to be a new follower, would love if you get to stop by my blog sometime! Photo corners ... aren't you clever ... awesome creations. wowzers! 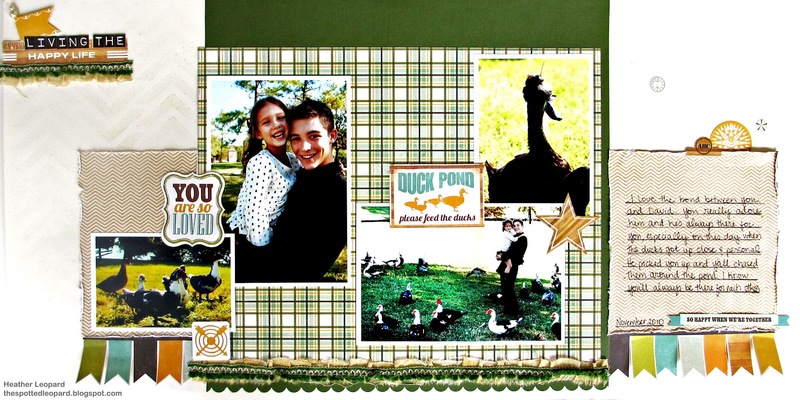 Love your layouts and card! Thanks for the chance to win the yummy kit! Great work! Love that photo from your phone! I love all of your projects-esp. that card! Such great projects! I especially like that second layout. Thanks for the chance to win! Great stuff! I have not seen your work before. Thanks to Karrie for adding you to the Scrappin' Savvy team! Love the LO's! Thanks for the chance to win. Just hopping by from Scrapdango. Congrats on the LYB team! What inspiring chevron creations! And I love all the other great work on your site. Adorable layouts and card. Love all the lil touches you added. I follow you now. Thanks for sharing. Great layout and card. I am a new follower! CONGRATS on the team and gorgeous layouts! really cute layouts love all the details. Love the chevron card and colors. Great added stitching. Great layout and so cute card!!! Love the way you misted - so gently! It looks beautiful. I absolutely love your page and the theme! I have tons of great pics I need to get off of my phone!